"This recipe is a welcome change from the usual fried chicken. 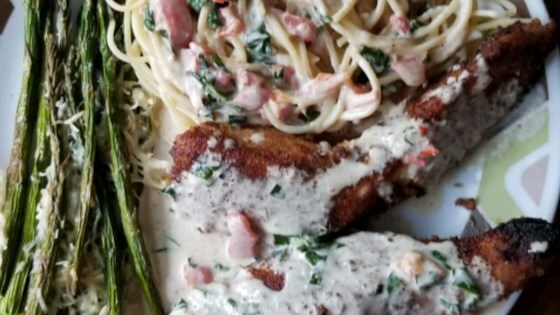 The cream sauce gives it a wonderful flavor." I was out of chicken broth so I used white wine instead. Highly recommended! Excellent recipe. I skipped the basil and pimiento, and added some red pepper. Also used 2% milk instead of heavy cream and thickened it with butter and flour. I will make this again.